What is it like to work at Cobham? Notre Dame School is set in the Surrey parkland. The school features: a gym, a swimming pool, a drama studio, an art room and tennis courts, amongst many other amazing facilities. 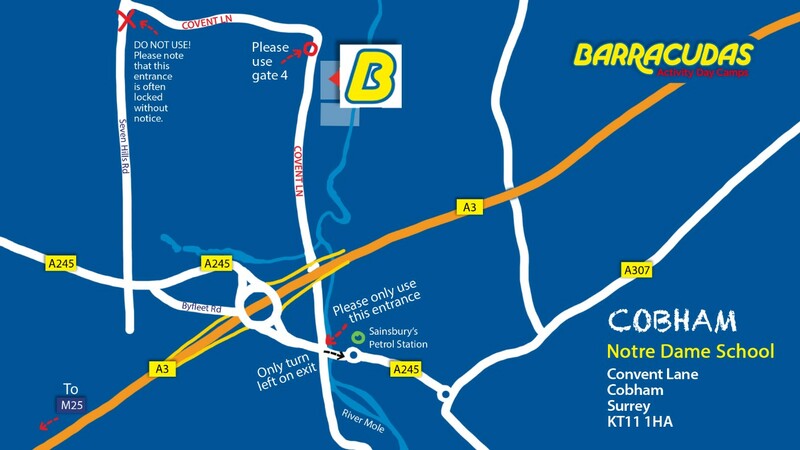 In terms of getting to the camp, it is located next to the A3 and is easy to access by car. In terms of public transport, the local train station offers trains to Guildford and London Waterloo. Please Note: This camp is also close to our Woking and Ripley camps, so if the role you’re looking for isn’t available, be sure to check those camps out too!